Fastest-growing Real-Time Location Systems(RTLS) company attributes 1,042 percent revenue growth to its innovative Clinical-Grade Visibility Solutions™, which enable workflow efficiencies, cost reductions, and improved patient care in healthcare. (Newtown, PA – November 20, 2013) — CenTrak announced today that it ranked No.129 on Deloitte’s Technology Fast 500™– a ranking of the 500 fastest growing technology, media, telecommunications, life sciences and clean technology companies in North America. Overall, 2013 Technology Fast 500™ companies achieved revenue growth ranging from 137 percent to 208,897 percent from 2008 to 2012. CenTrak grew 1,042 percent during this period. CenTrak’s President and CEO, Dr. Ari Naim, credits the company’s 1,042 percent revenue growth to the demand for its innovative Clinical-Grade Visibility Solutions. 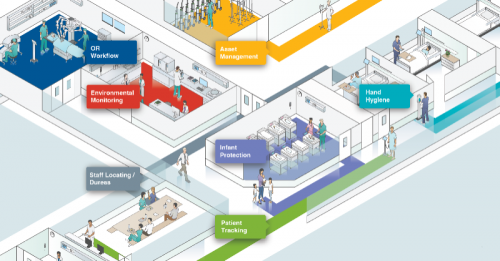 During a period of increasing financial pressureon the healthcare industry,CenTrak’sRTLS is essential because it addresses workflow inefficiencies and generates cost reductions, while improving patient care. These benefits, in addition to being awarded several large accounts, have helped CenTrak achieve the title of fastest growing healthcare RTLS provider. In fact, the largest implementation in the industry is currently being deployed as a result of the US Department of Veteran Affairs decision to standardize on CenTrak’s RTLS. The VA deployment began this year and will include 152 medical centers, all of its major outpatient pharmacies and 1,400 ancillary clinics. Technology Fast 500, conducted by Deloitte LLP, provides a ranking of the fastest growing technology, media, telecommunications, life sciences and clean technology companies – both public and private – in North America. Technology Fast 500 award winners are selected based on percentage fiscal year revenue growth from 2008 to 2012.In order to be eligible for Technology Fast 500 recognition, companies must own proprietary intellectual property or technology that is sold to customers in products that contribute to a majority of the company’s operating revenues. Companies must have base-year operating revenues of at least $50,000 USD or CD, and current-year operating revenues of at least $5 million USD or CD. Additionally, companies must be in business for a minimum of five years, and be headquartered within North America.